When companies consider implementing cloud-based solutions, the security of their data is a prominent concern. Veeva is committed to ensuring the confidentiality, integrity, and availability of customer data managed by Veeva Vault. We adhere to established information security frameworks and follow secure software development practices. Vault is designed to be compliant with regulations such as U.S. FDA’s Title 21 CFR Part 11 and European Commission’s Annex 11. Using the ISO 27001 framework as a guide, Veeva integrates security into every phase of product development and daily operations. 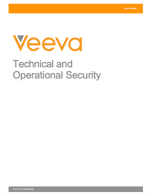 This paper describes the technology, practices, and controls that Veeva Vault uses to keep your data secure.